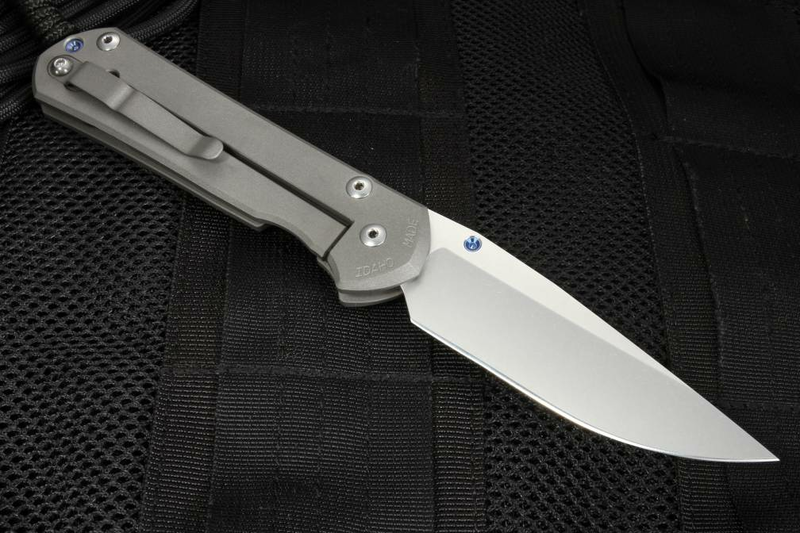 Since 2005, the Chris Reeve Large Sebenza 21 Folding Knife has been the standard all other folding knives are judged against. 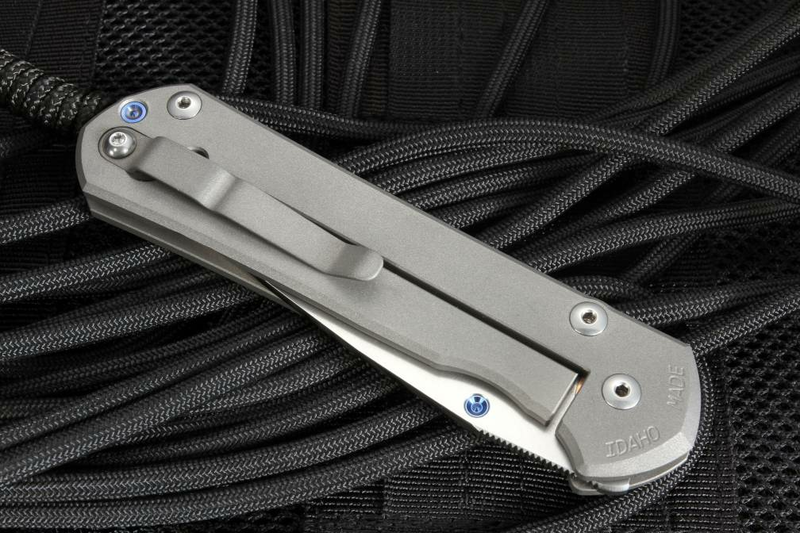 With a simple, yet elegant design, made in Boise, Idaho, the Large sebenza is form and function at their best. The attention to detail on each knife, not only in its construction, from blades which are flattened after heat treating to titanium handles that are lapped completely flat, this knife is like a work of art you can carry around in your pocket. In 1984 legendary knife-maker, Chris Reeve began making knives in response to his service in the South African military. He had started his trade as a tool-maker, dabbling in competitive motorcycle racing, where his machinist abilities allowed him to create specialized tools and parts for his bikes. When he found the standard issue knives to be lacking, he made his own and soon went into business applying what he knew of toolmaking and design to begin crafting what are considered by many to be the ultimate in knife-making. He moved his company to Boise, Idaho, where he has been crafting knives would-renowned for their quality, precision, and craftsmanship ever since. To commemorate 21 years in the trade, Chris Reeve designed what many consider the perfect folding knife: the large Sebenza 21. To say Chris Reeve is a perfectionist is an understatement. Any criticism he receives, might be the level of tolerances his knives are held to. Surface grinding his blades, handles, and other components to tolerances within 1/10th of 1000th of an inch on the Sebenza 21 alone, many would consider it overkill for a folding knife. This allows for no play in the blade in side to side motion whatsoever. This knife is held to requirements by the maker and manufacturer which rival the aerospace industry, setting it lightyears apart from competitors. 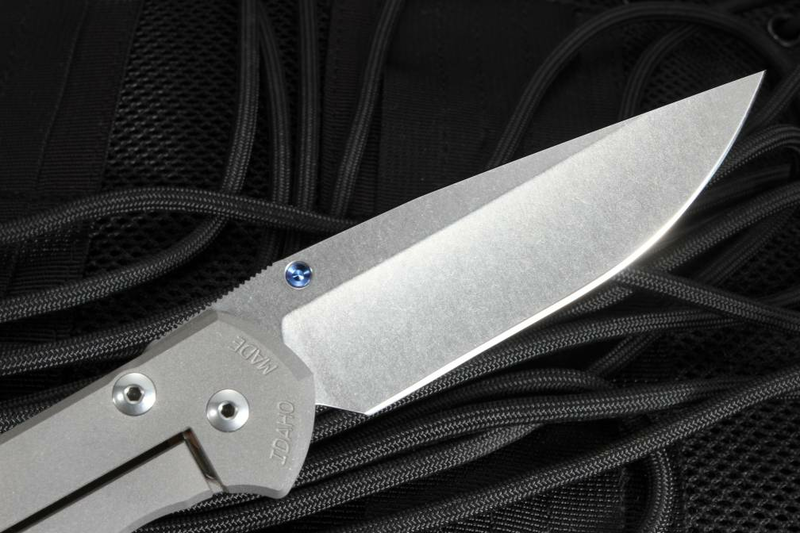 The Blade: At 3.625" the stainless S35VN blade is stonewash finished at 20,500 rpms to produce a low-glare, corrosion resistant surface that just looks great. The HRC hardness of 59-60 allows for a strong blade from .12" stock to be strong and flexible enough to tackle difficult cutting tasks while still being malleable enough to hold an edge on its hollowground razor sharp cutting length. Ground, heat-treated and then ground again, this blade is hand-cut with a thumb chamfer to keep optimal grip as well as precise control. The drop point design allows for fine detail work in cutting as well as leverage for cutting with added strength when you need it. Available in left or right-handed styles, the thumb lugs are machined into smaller retention holes. The perforated phosphor bronze bushing pivot allows for an incredibly smooth opening that only gets better with time. The design limits friction as well as retains grease from opening to closing, time and time again. Each knife is hand-sharpened and inspected by a real, live person too. 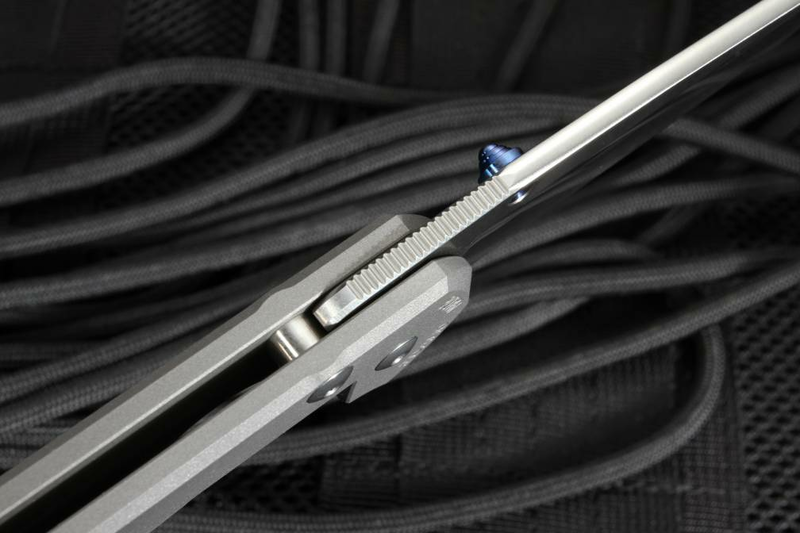 The handle is blasted titanium with an integrated lockbar mechanism that keeps the blade fixed in place when opened to its full 8.335" overall length. 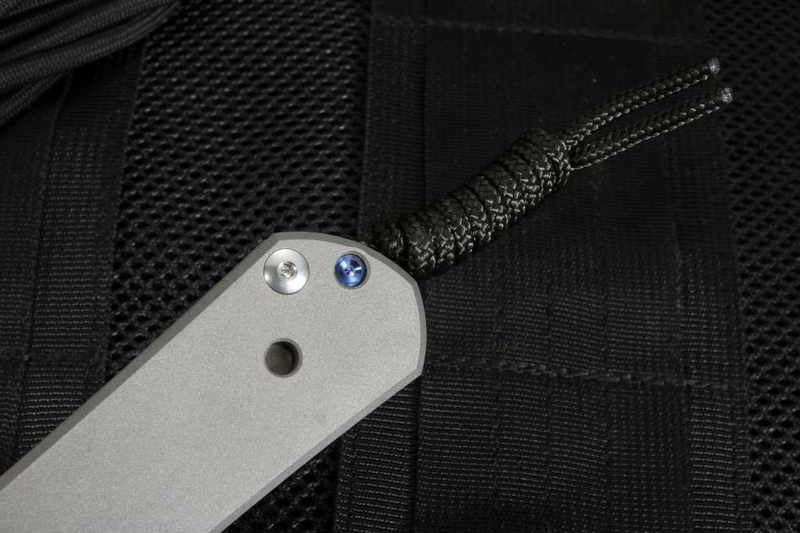 A point-up titanium clip is also fitted into the blade for added protection against lockbar overtravel, and keeps it clipped securely to your belt. A single finger scallop keeps the knife comfortably in place in your hand, as well as giving you a perfect feel when opening the blade without looking. 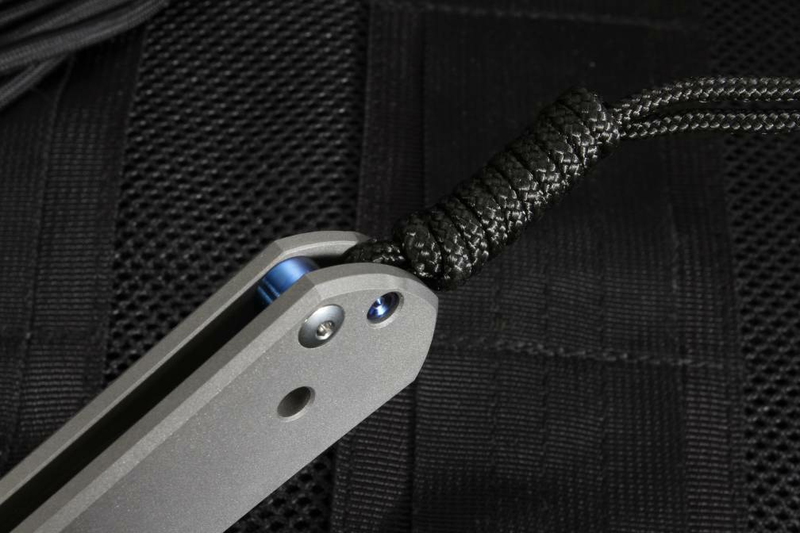 The lockbar isn't going to let that blade go anywhere until you want it folded, giving you that bank-vault feel so sought after in knives of this type. At 4.7oz, the knife has excellent balance for its size but won't bog you down to carry it around in your pocket all day. As a person who loves the best of the best, I guess it was inevitable I would want a Sebenza. At first I tried the small, but I quickly decided to order the large instead. The craftsmanship is second to none, and you really feel like you have something special. The action was a little stiff on mine and just took some time opening and closing while watching TV to loosen up. 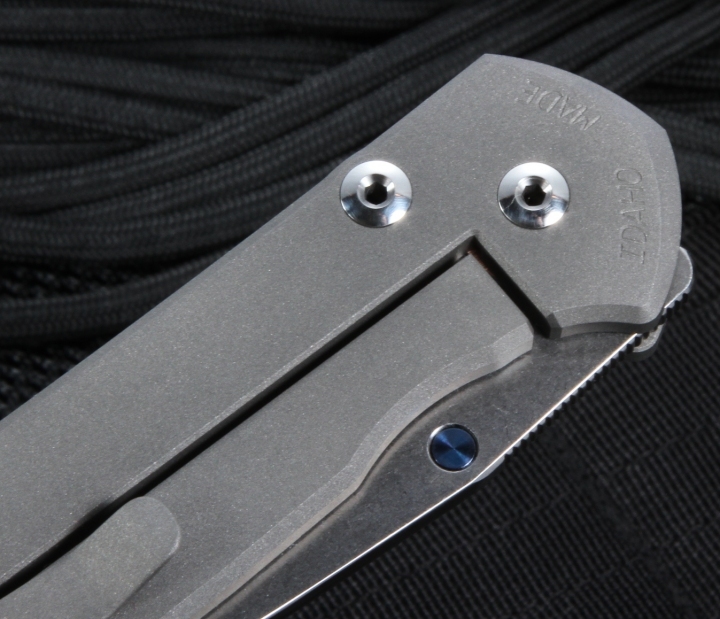 If you are a person who loves quality, you will not be disappointed with the Sebenza. Awesome knife! This is my first Chris Reeve knife and I love it so far. Knife art ships super fast which was great! Awesome knife! This is my first Chris Reeve knife and it will not be my last. Only thing that was better is the fact that I ordered this knife from Knife Art, and had it in my possession in les than 48 hours! I would not order from anyone else, thanks. 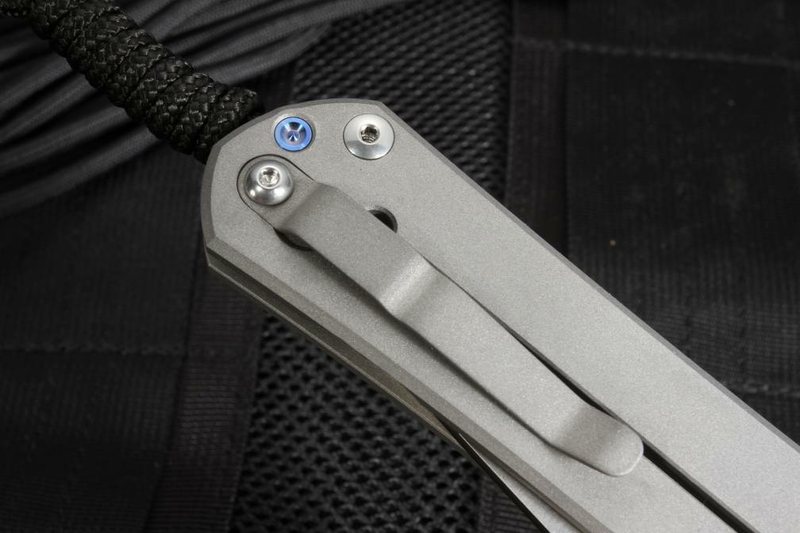 I recently lost the Sebenza that I had carried for near 20 yrs; it was a well designed, tough knife / tool that set a high standard for high quality working knives. Hopefully some one finds it and uses it for another 20 yrs. I will be replacing it with another Sebenza! As soon as you handle this knife you know why it is a classic, you can feel the quality and craftsmanship. Knife art are the best, knife shipped to UK in 2 days, amazing service. I would definitely recommend a sebenza 21 and knife art. This knife does not disappoint, and that is saying a lot considering all the hype surrounding it. The knife feels amazingly substantial in the hand and the fit and finish is exactly what I expected, perfect. This is the second time I have used Knife Art and they ship items fast. I would definitely use them again. Thanks guys. Great knife. quality, size are perfect. Quick shipping. Hands down the Sebenza 21 is one of the best knives around. Not only is the knife amazing but CRK as a company is great too. Knife is perfect, excellent service and fast shipping overnight to Canada. I purchased this knife for my husband's birthday. He was quite surprised. 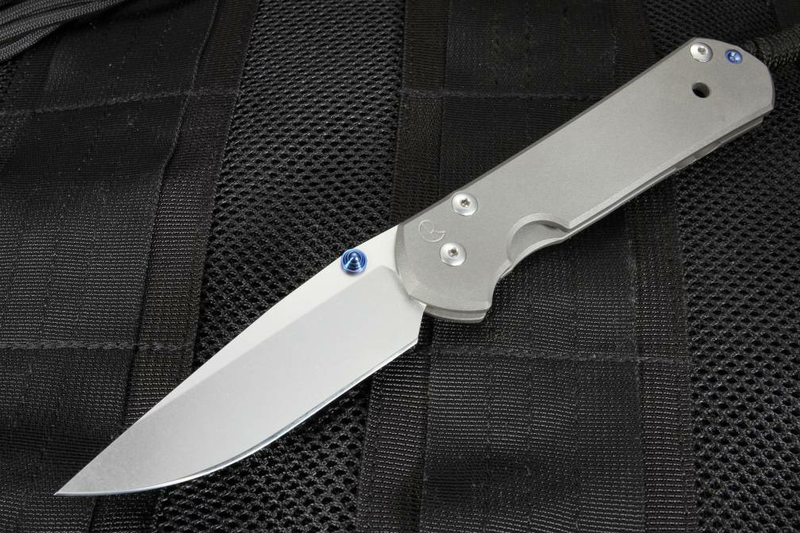 The CRK Sebenza is every bit as nice as all the other reviews can attest to. The craftsmanship, the fit, finish, and materials all are top notch. 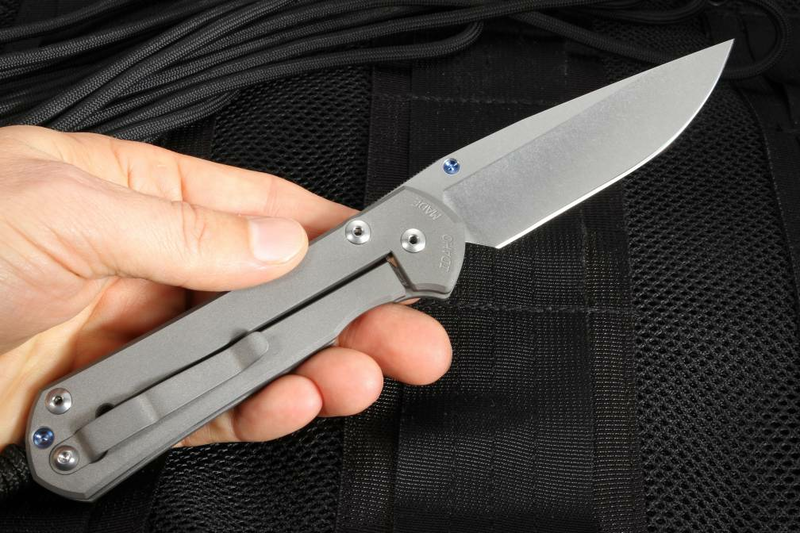 When you hold the Sebenza in your hand, you know right away what all the hype is about. This is a fine hand made product. This is not the cheapest knife on the market, but it is not trying to be. This knife is not for a collector on a budget. This knife is for a buyer who can appreciate quality, and knows that it comes with a price. Some things are worth the wait, and worth the price. The Sebenza is every bit of that. I too, never really understood what all the hub-bub was about a Reeve folder. I've owned ZT's, Striders, Benchmades... I finally ordered one and yea, now I get it. Flawless machining, really as much a work of art as a tool, and a fantastic design. The calfskin pouch is a must. You have to protect this gem! I really like this knife. 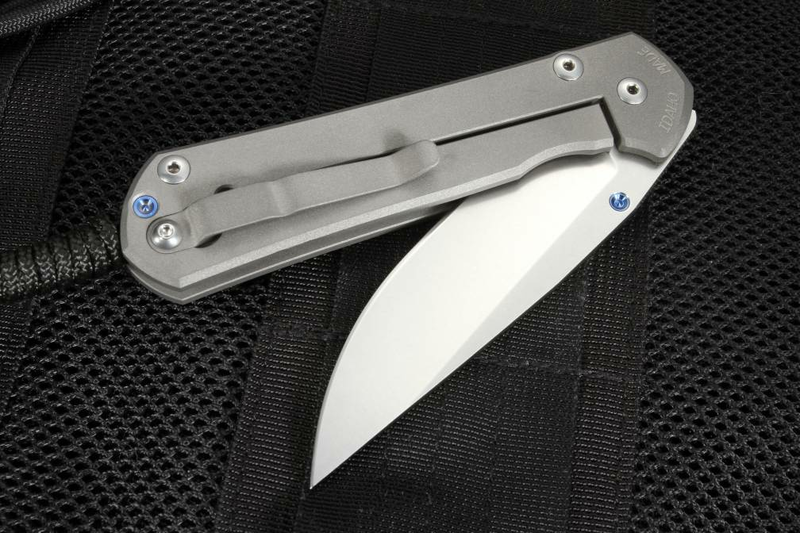 No BS, simple, perfectly machined, tight tolerances, and smooth opening. The blade came nice and sharp, and the edge is symmetric. It is in my pocket right now, and will be there for the foreseeable future. Communication from KnifeArt.com was good, and shipping was fast (the knife arrived earlier than estimated). I could never understand what all the chatter was about regarding the Chris Reeve Large Sebenza until mine came in the mail. I have a box full of custom knives made by some of the best knife makers in the country, This knife is equal to any of them and in some cases better than some as far as fit and finish goes............... it is PERFECT in every way You can not go wrong with a Chris Reeve Sebenza or the FINE service and fast delivery provided by Knifeart.